Mumbai: Start-up health care and drug technology firms are struggling to attract funding as venture capital and private equity firms shy away from high-risk projects with long gestation periods in the wake of the global economic downturn. “Innovation in the pharma and biotech space is going to be impacted heavily owing to lack of funding from venture capital and private equity companies," said Sujay Shetty, associate director (pharma and life sciences) at audit and consultancy firm PricewaterhouseCoopers in India. 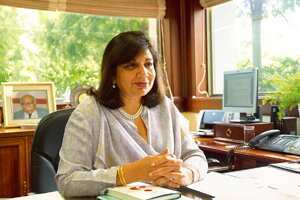 Kiran Mazumdar-Shaw, chairman and managing director, Biocon Ltd, agrees. “Though the research funding schemes introduced by government agencies such as department of biotechnology and department of science and industrial research are of help, the large private sector funding to these tech start-ups will remain tight for some time now," she said. Aditya Kapil, principal, Ventureast Proactive Fund, said investors can gain from the low valuations, but only if they are able to identify technologies that can give “significantly big returns after taking the high risk and waiting for long". The global economic downturn and a lack of confidence in riskier projects have led venture capital and private equity firms to shift their focus to established companies to take advantage of their current low valuations. This trend was apparent from the low-key presence of venture capital firms at the annual biotech investment conference “Bioinvest 2008" in Mumbai on 12 and 13 November. “New funding is going to be tough for start-up companies now, unless the entrepreneurs are ready to either grossly undervalue their companies or ensure easy exit options," said K.K. Narayanan, president of the Association of Biotechnology Led Enterprises, the industry body that organized the conference. One entrepreneur at the conference, who has embarked on a bio-active research project for treatment of hypertension, said he could not find a funding partner as many firms either bargained for a discounted valuation or for easy exit options. He didn’t want to be identified as he’s still negotiating with fund houses.